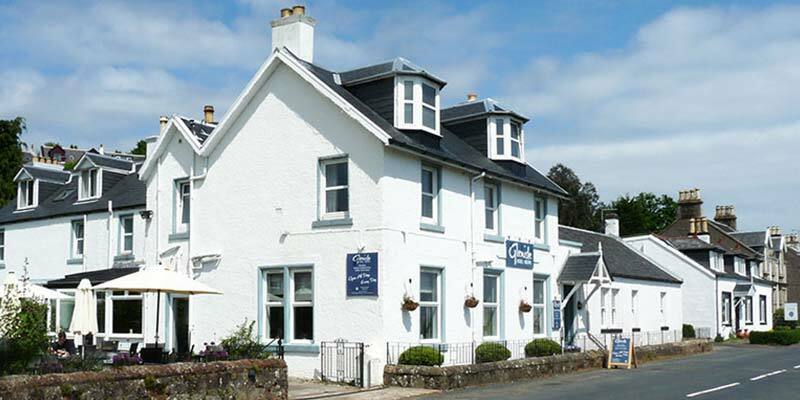 The Glenisle Hotel opened it’s doors in 1849 and has been at the heart of the charming village of Lamlash ever since. The location, looking directly across the sea to the majestic Holy Isle is certainly one of the most spectacular on this beautiful island. 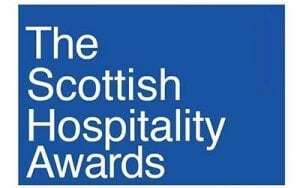 Since a major refurbishment in 2008 the Glenisle Hotel & Restaurant is establishing a reputation throughout Scotland for its warm and stylish ambiance and its great, relaxed atmosphere. Our beautiful hotel combines both modern and traditional elements that gives a unique blend of decor and features to all walks of life, we guarantee you won’t be disappointed. 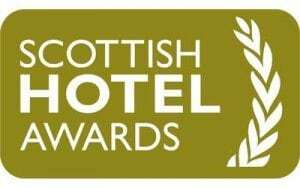 As a small, family-run hotel it is lovely to be recognised at a national level. 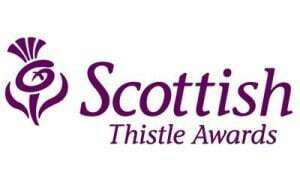 This recognition means a lot to everyone at the Glenisle and we are pleased to share it with you. During your visit to the Glenisle Hotel, you will realise how perfect our hotel is – from our restaurant and bar to our library and lounge. 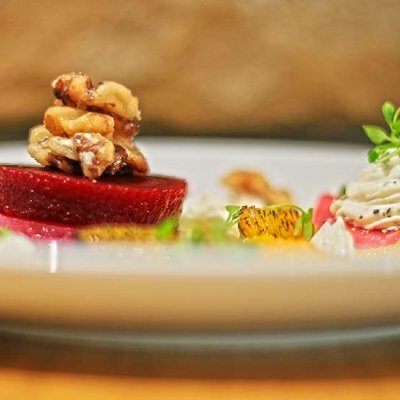 Our chefs take pride in each dish they prepare using local and seasonal ingredients. Our menus are altered to suit each season and take full advantage of the best of the local produce. We've chosen soothing colours to expose the sandstone walls and polished wooden floorboards to make a great place to relax and enjoy the food, wine and the company. 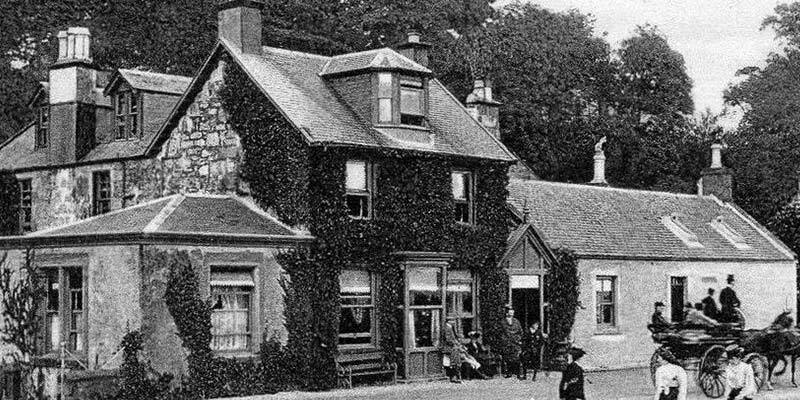 The Talisman Bar is named after the steamer which used to travel between Glasgow and Lamlash. 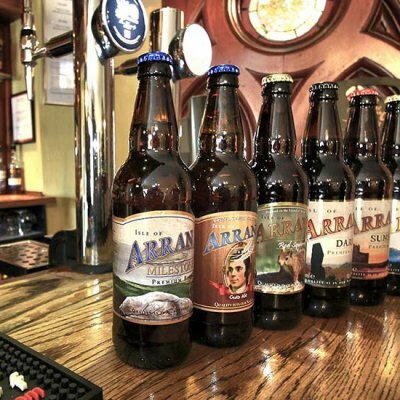 We stock a good range of Arran whiskies and Ales as well as the standard fare. We are also happy to serve espresso, cappucino, latte plus other coffees. We are very proud of our range of teas which is the easily the largest on the island. 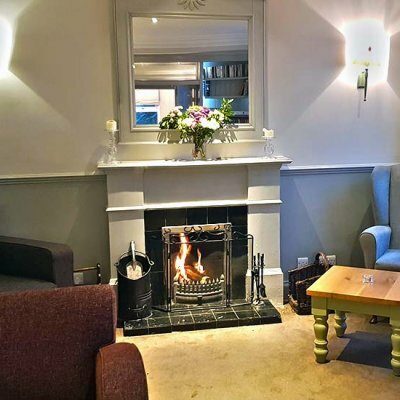 The Library & Lounge is the perfect place to relax with a good book, meet friends for a game of bridge or scrabble (we'll supply the cards and the scrabble board), or just relax with a drink. 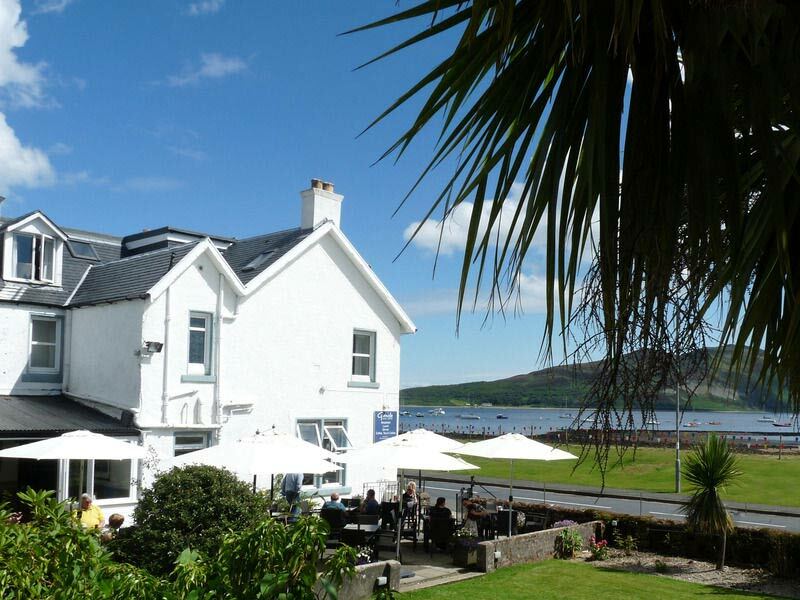 Situated right at the front of the building it has stunning views over Lamlash Bay towards the Holy Isle. In the colder weather the open fire makes it a cosy retreat. To the side of the hotel is our large, historic, walled garden and terrace which provide an oasis of calm around the hotel. 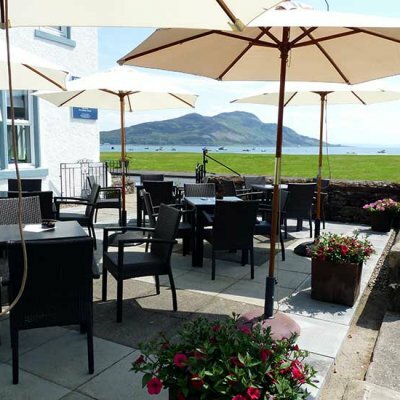 Enjoy lunch, morning coffee or afternoon tea and cakes (including a scrumptious cream tea with scones and locally made jam) on the terrace while enjoying some of the best views on the island, overlooking Lamlash Bay and the Holy Isle.